While it’s not my favourite book, it was a breeze to get through. That may sound like I didn’t enjoy it, but I did. The characters felt authentic; the situation, despite being a little out there, was quite easy to swallow and get into the groove of this contemporary summer road-trip adventure. My only real wonder was at how Colin—with all of his social inadequacies—managed to land nineteen girlfriends, let alone nineteen with the same name. Putting that aside, though, the banter of Colin and his best friend, Hassan, proved to be just about enough to keep the two hundred or so pages of this short book afloat. Hassan was one strong personality. He could certainly hold his own when faced with Colin’s sometime one-track mind. Often described as overweight—and often milking it—Hassan was the kind of secondary character you love and root for even when the main one’s annoying you. While not getting as much plot as Colin, his romantic prospects, his personal life, his self, it was more than one dimensional. He provided that role of support for Colin, but was more than just that. 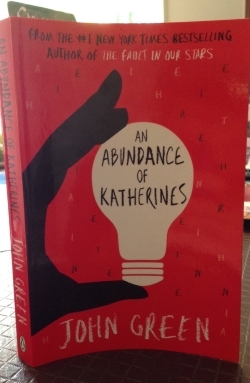 Katherine, on the other hand, didn’t come across as all that deep despite being the driving force behind the book. Yes, the many Katherine’s are referenced throughout, but they’re more of Colin’s history than his present. He was still hung up on the most recent Katherine to dump him, but, I guess, thankfully the book wasn’t an endless pursuit of him trying to get her back. It was more of a story of coming to terms with the past and realising you were in the present. The bulk of the book takes place in a small town out in the middle of nowhere, which did surprise me a bit—but in a good way. It turned out to be a lot of fun. But that comes down to the complexities of the characters. While not everyone was 100% likeable, they were real enough that you could lose yourself in the story and forget that you weren’t there experiencing it all with them. A good story can take place anywhere as look as the characters have what it takes to hold it all together. 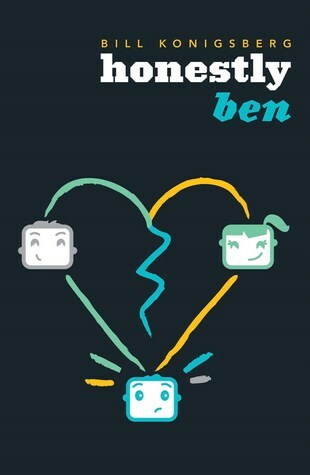 And this was a John Green story, so of course they did. Contemporary fans that enjoy all of that teenage emotion and stuff.